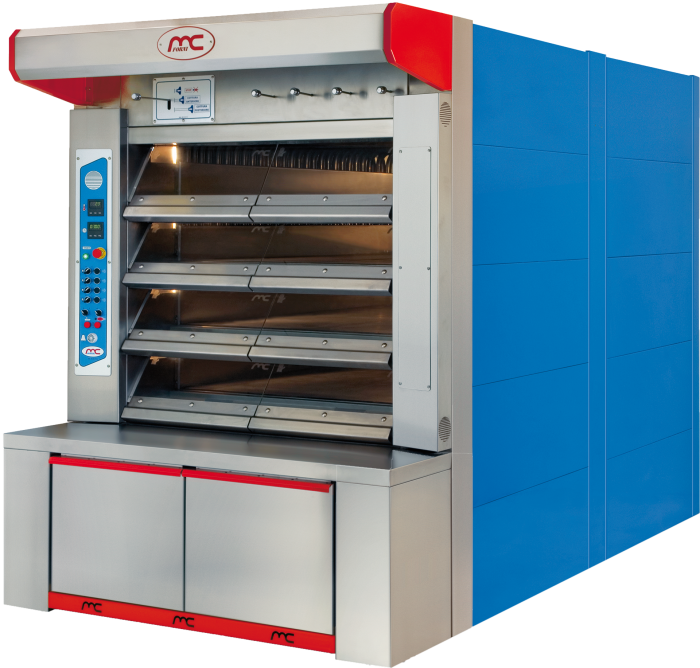 The steam tube oven is the older system and tested to bake bread so soft and uniform. 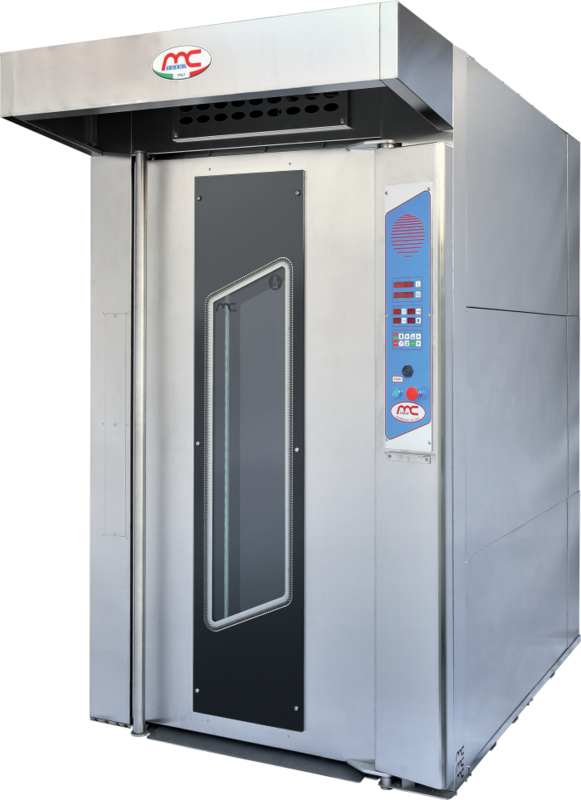 Maintaining the oven always ready also after a long time to rest, the product is not burned. Are made of stainless steel 1,5 mm. 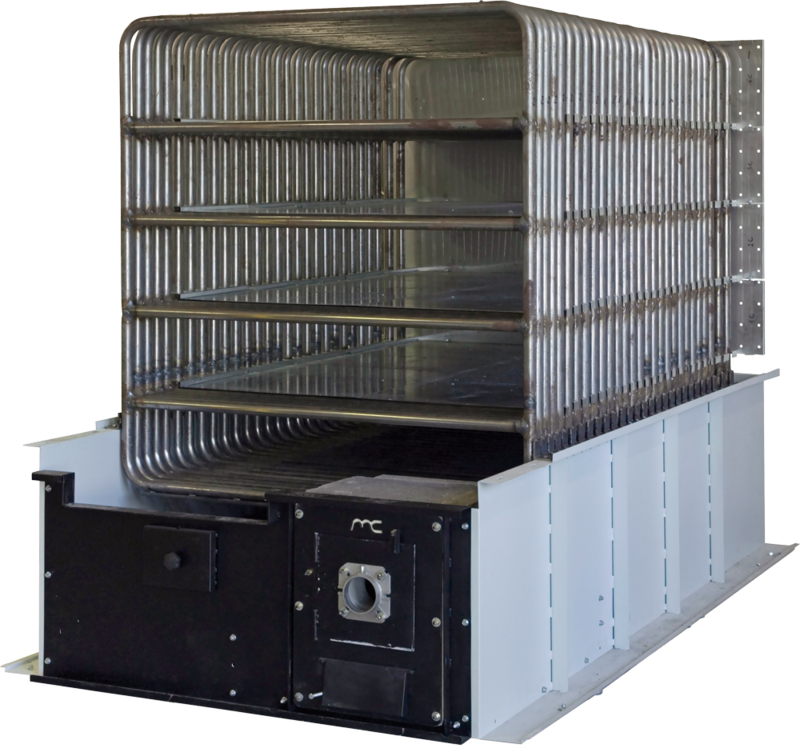 The bed-plate is provided with removable doors to ensure easy access to the burner, to steam generators, to solenoid valves for steam generators and the cleaning openings of the flues. 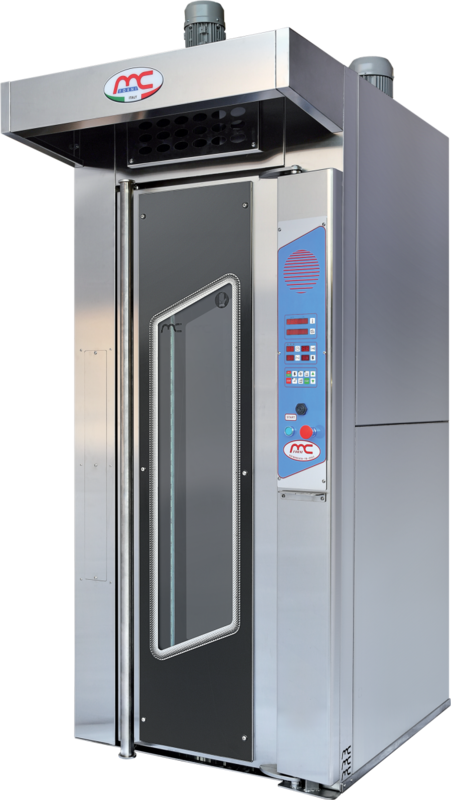 The doors of baking chambers are made of tempered crystal, are self-balanced and easy to remove. Are made with refractory bricks at high percentage of allumina designed in such a way to get a perfect baking uniformity. 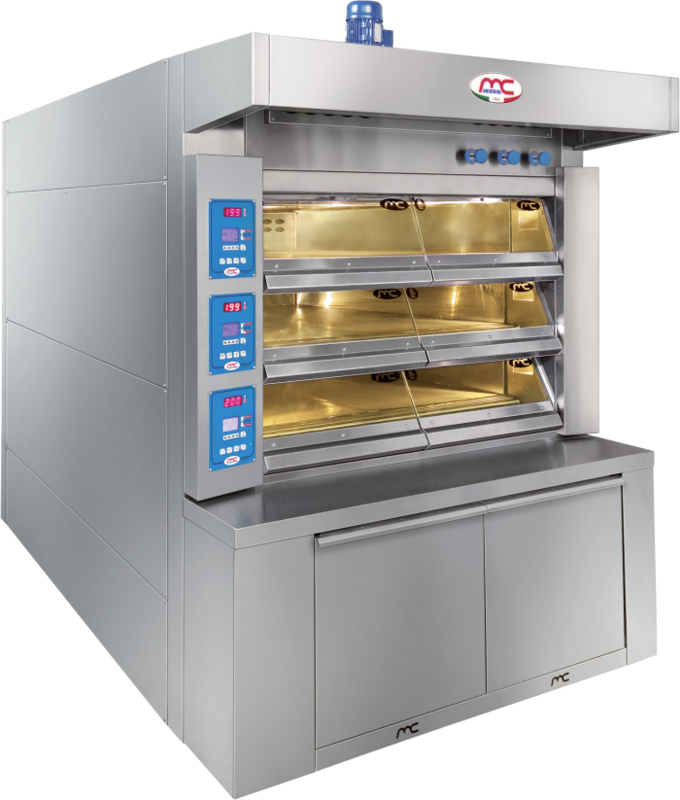 Are positioned directly above the tubes in the hottest point of oven to allow a very fast temperature recovery. Maintenance is accessed by removing the doors under bed-plate. Made of refractory reinforced concrete with fl int sand held together by a welded iron mesh absolutely according to food rules. Is made with tubes “Mannesmann” process UNI 663/68 STANDARS STEEL Fe 45,2 Ø 27 x 4 mm. This type of material can withstand very high pressures and also resist corrosion caused by combustion. The diameter of 27 x 4 mm. allows a considerable amount of tubes (weight kg. 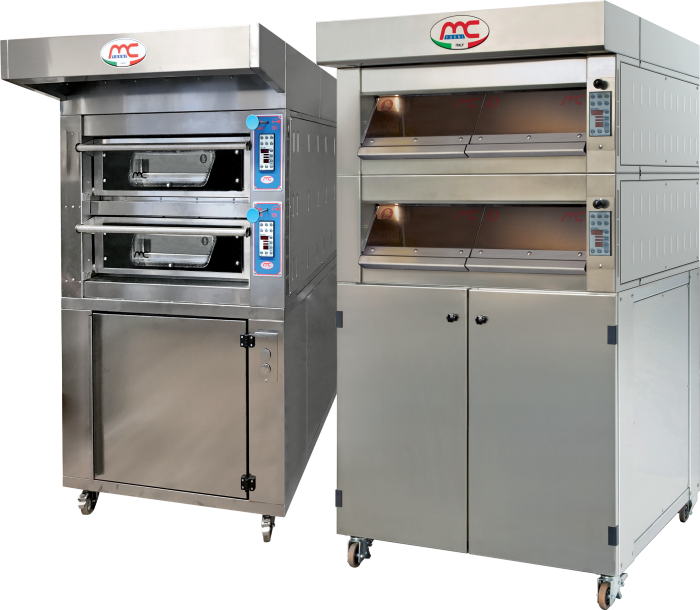 4 per meter), therefore is not necessary to lead to high temperature the steam in the pipe because the high mass of tubes makes sure that baking is absolutely soft and the oven is always ready for the other backing. 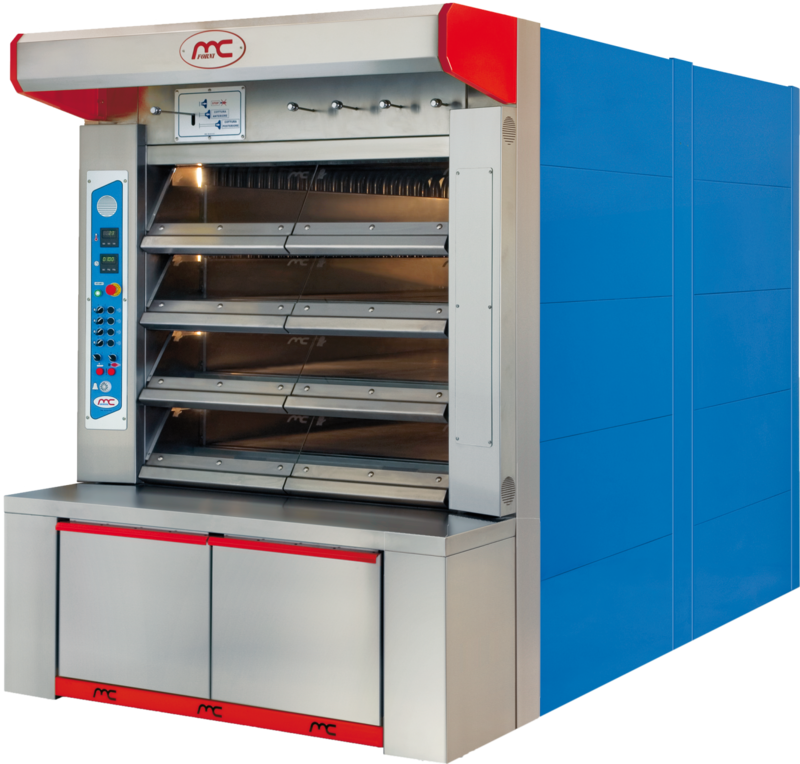 On request the oven can be equipped with side furnace for wood working.